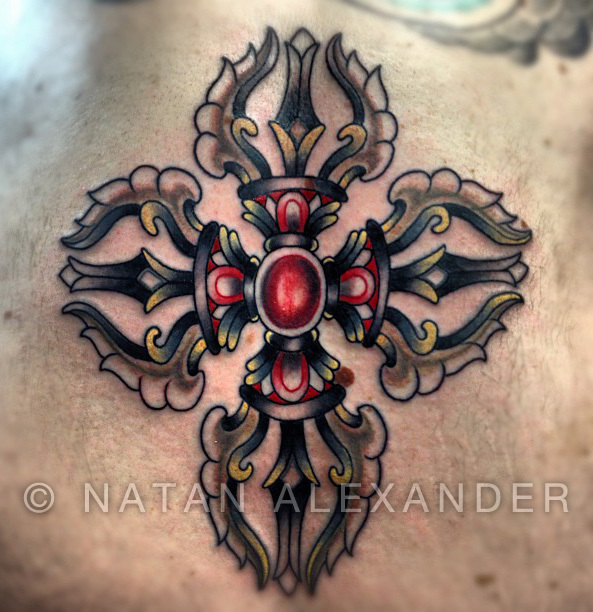 Here are a few smaller pieces, recently completed by Natan. Second, a Tibetan double dorje. In Tibetan the word dorje means “indestructible.” The dorje is a spiritual weapon used to banish non-truths and bring in the truth. The dorje is often used in a Tibetan Buddhist ritual, where it is twirled in order to bring in truth. 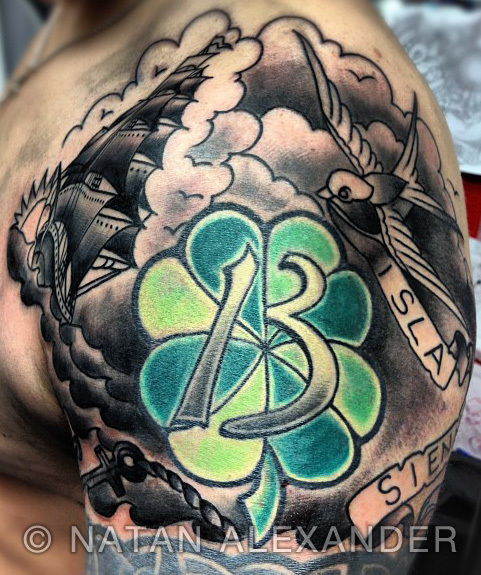 Third, which perhaps shouldn’t be categorized as a “smaller work,” is a bright shamrock surrounded by traditional elements (such as a clipper ship and swallow) in black and grey. 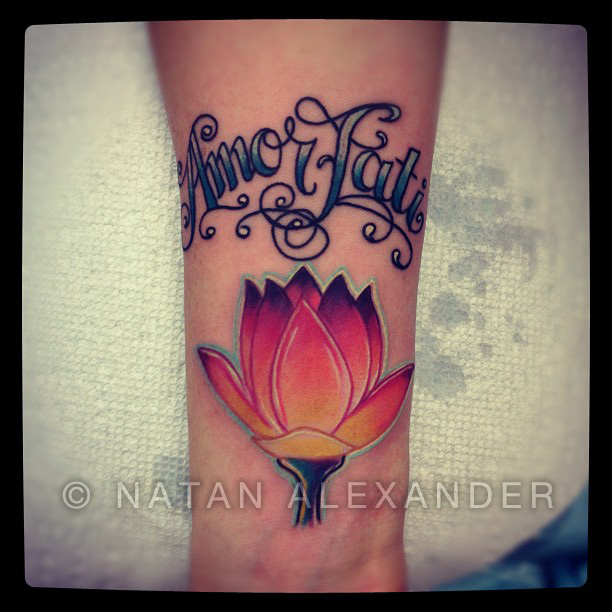 Natan has limited December availability before he sets off to Japan, and his January is already filling up quickly. 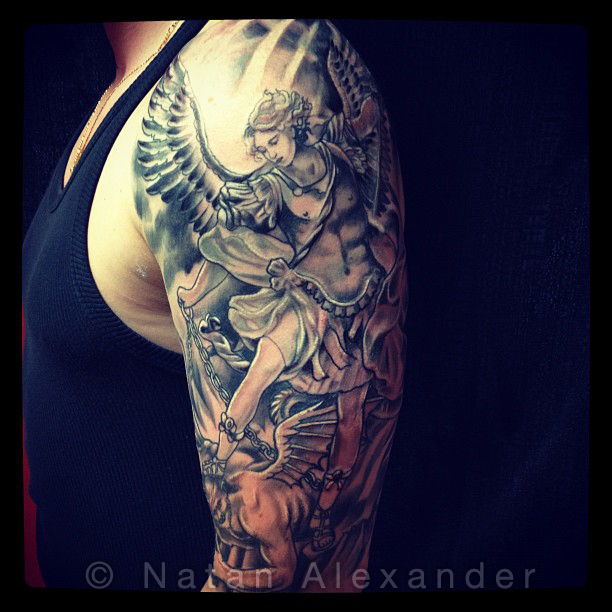 If you would like to book an appointment with him, give Witch City Ink a call at 978.744.9393. Happy Wednesday! 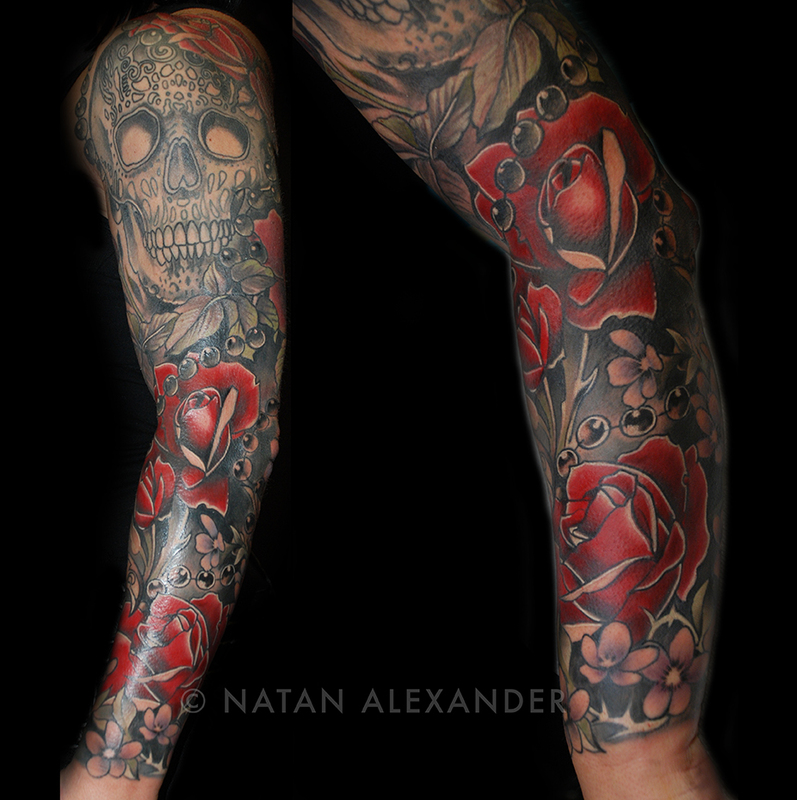 We have a lot of recent works from Natan to show you, and we thought we’d start off with a nice little sleeve post of the flower persuasion. 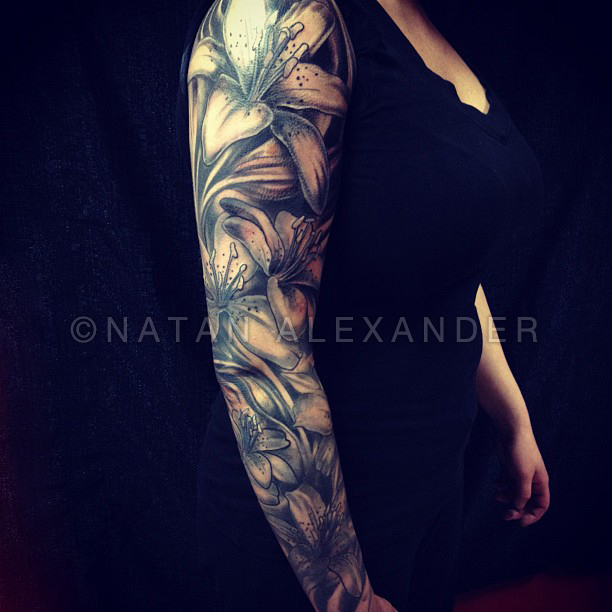 First up is a black and grey lily sleeve on Jodie, who quickly became one of our favorite clients. 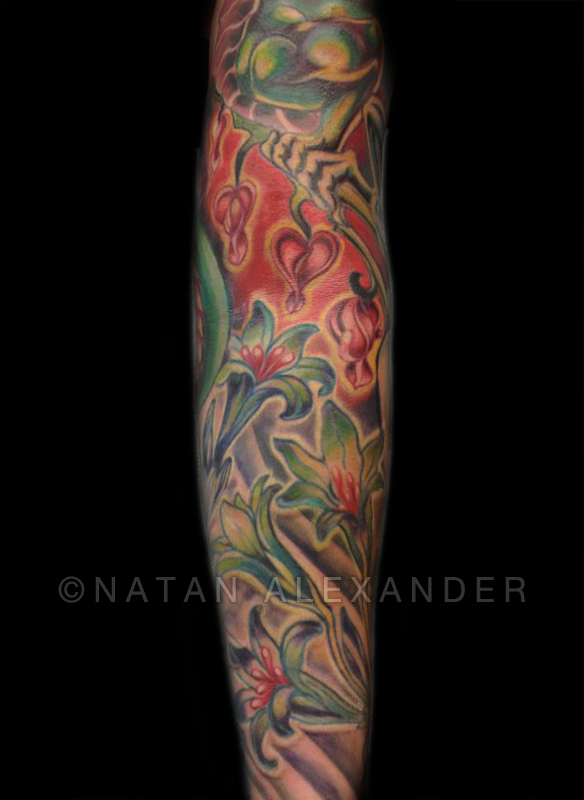 This next pic only shows a portion of this sleeve, which also consists of flowers, but is done quite differently than the above lilies. The colors are incredibly vivid — more so than this photo shows! 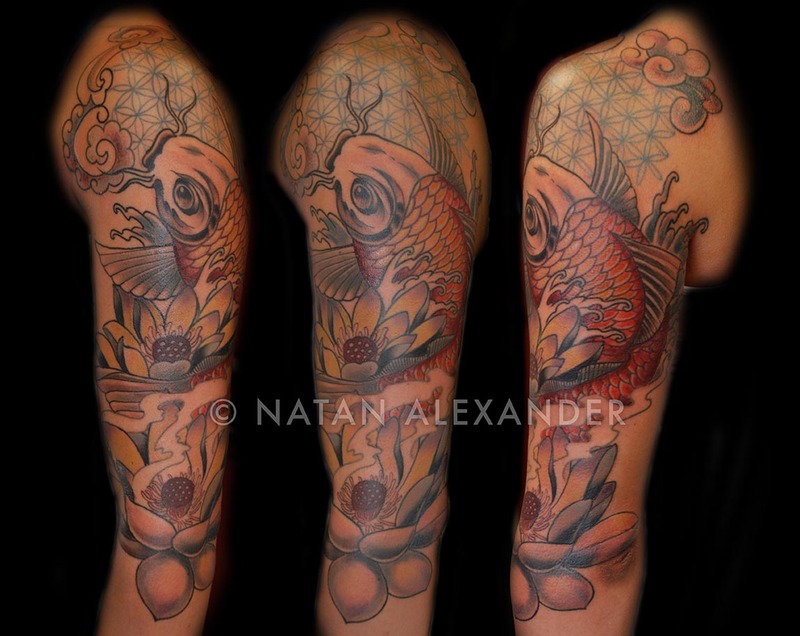 Moving away from the floral spectrum, one of Natan’s clients came in with the idea of wanting waves on his forearms. He was pretty excited about these — and so were we! 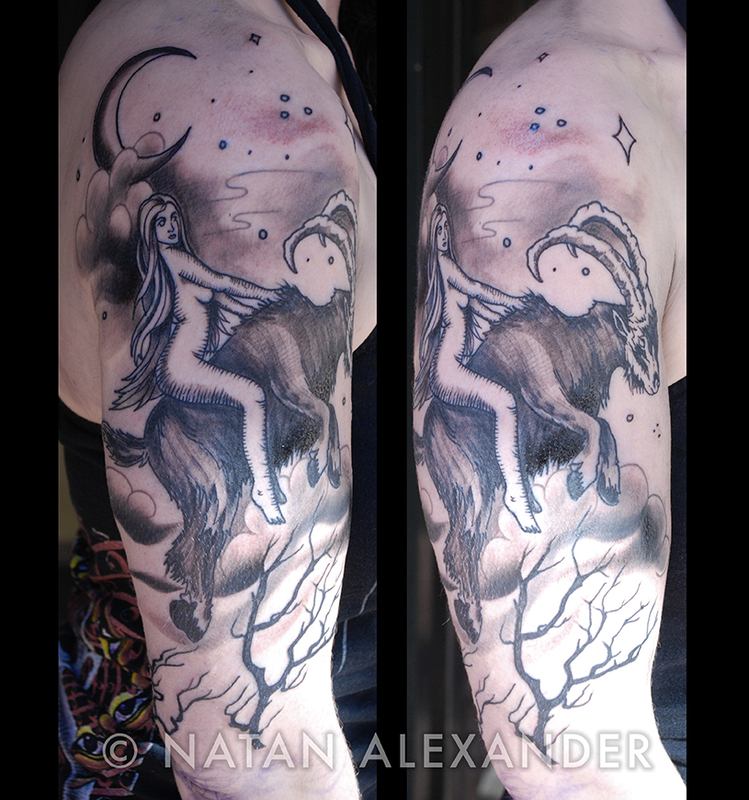 As usual, Natan’s schedule is filling up incredibly fast, so be sure to give Witch City Ink a call at 978.744.9393 if you’d like to make an appointment with him (even if you want to be tattooed by him at Lightwave — the keepers of his schedule are at Witch City!). As always, keep checking back here for more tattoo photos, travel news, and a little announcement about a customer appreciation party/art show at Lightwave! 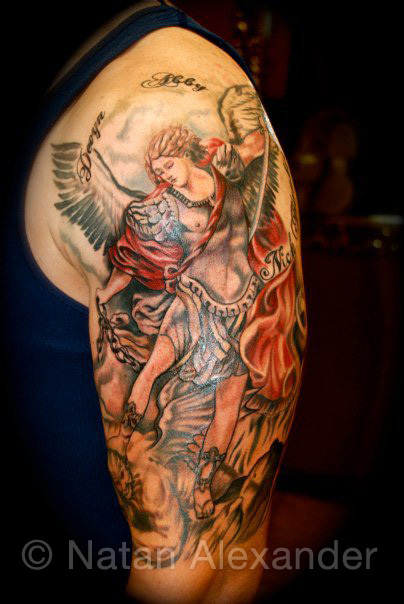 Wow, have you done a Google image search for Archangel Michael tattoos lately? Recommendation: DON’T. So many terrible ones come up! Instead, just take a look at the piece below. 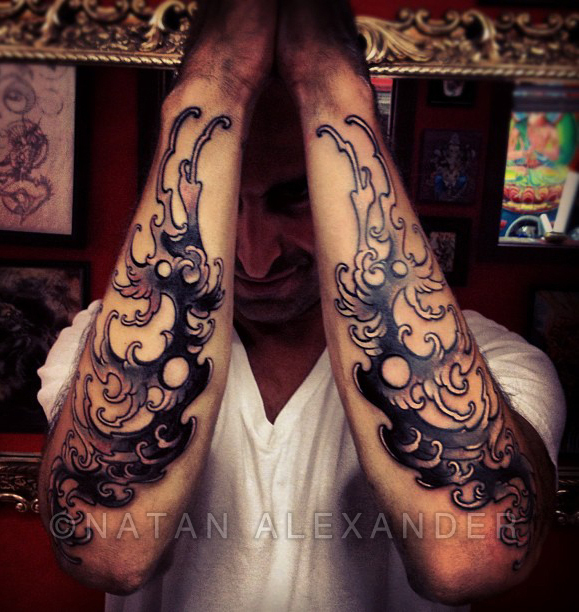 And this one, which is also a favorite of those who discover Witch City Ink/Lightwave Tattoo. 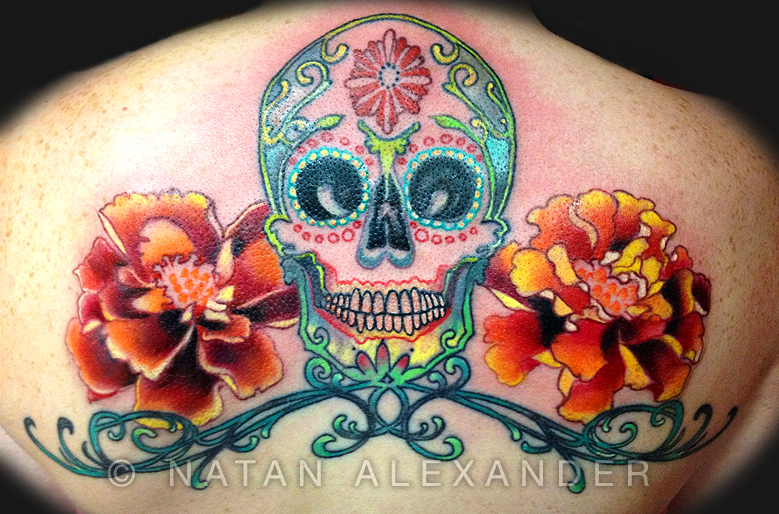 This is also a good time to remind clients that you should always check out a tattooer’s portfolio before you book a session with them. Everyone deserves to have a thing of beauty on their body. From Wikipedia: In the New Testament Michael leads God’s armies against Satan’s forces in the Book of Revelation, where during the war in heaven he defeats Satan. In the Epistle of Jude, Michael is specifically referred to as an “archangel.” Christian sanctuaries to Michael appeared in the 4th century, when he was first seen as a healing angel, and then over time as a protector and the leader of the army of God against the forces of evil. 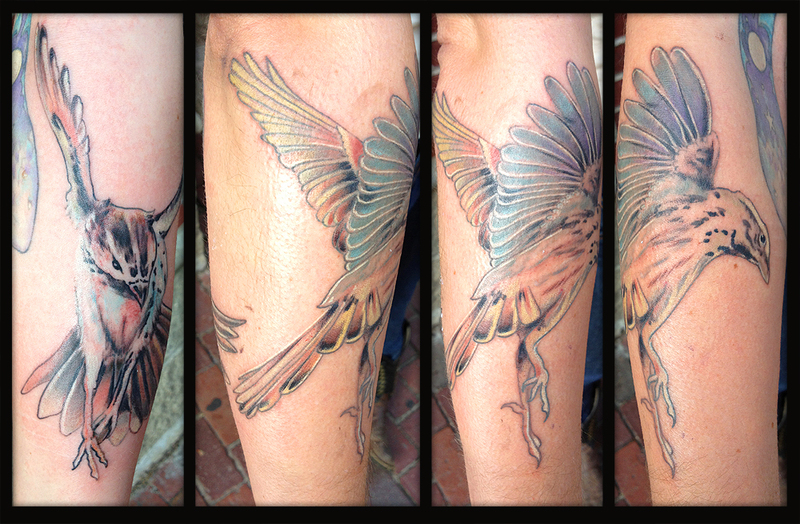 Two were brought to life on K’s forearm this week. Take a look! We highly recommend clicking the image to see a larger version.